Amrit Siddhi Yoga 2014 is the key to health, wealth and prosperity. With Amrit Siddhi Yoga, you will get guaranteed success in everything you will do. Make the best of 2014 by undertaking every task under the most auspicious Muhurat. To make your luck more favorable, we present to you Amrit Siddhi Yoga for 2014. The tool which can help you achieve success in 2014 is Amrit Siddhi Yoga for 2014. Amrit Siddhi Yoga is formed when a certain Nakshatra appears on a particular day. In this article, we have explained Amrit Siddhi Yoga along with Amrit Siddhi Yoga Muhurat 2014. According to ancient scholars, formation of Amrit Siddhi Yoga is very auspicious for performing many tasks. Any activity started during Amrit Siddhi Yoga, yields assured fruitful results. If you are planning to begin anything major in 2014 then consulting Amrit Siddhi Yoga 2014 is something you should not forget. However, if planning marriage or any other auspicious activity, knowledge of negative results of Amrit Siddhi Yoga is also important. Amrit Siddhi Yoga 2014 is not favorable for marriage, if it is formed by Guru Pushya Yoga. Also, and is not auspicious for journeys, if formed by Shani Rohini Yoga. Talking about events like Griha Pravesh, Amrit Siddhi Yoga is not favorable, if formed by Ashwini Yoga. We all understand the importance of our work and therefore, consulting the most auspicious time for commencing it equally important. The results of Amrit Siddhi Yoga are countless and Amrit Siddhi Yoga for 2014 is the key toward fortune and luck in the year 2014. This Yoga has gained immense popularity among the people and therefore, their in it are increasing day by day. People nowadays have started waiting for Amrit Siddhi Yoga to perform their tasks, to get fruitful results. On one hand, this Yoga has numerous advantages but on the other hand, it has some consequences too. Positive combinations lead to luck and prosperity and wrong combinations lead to failures and mishappenings. When Amrit Siddhi Yoga Forms? 1. Combination of Tuesday and Ashwini is prohibited for Griha Pravesh. 2. Combination of Saturday and Rohini is prohibited for journey. 3. Combination of Thursday and Pushya is prohibited for marriage. Amrit Siddhi Yoga is not only considered for any particular task but many significant rituals can also be completed during the time. 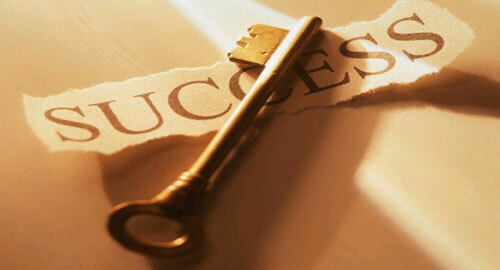 We all want to achieve success in whatever work we start. The hope of achieving success can become true if you plan your tasks in accordance with the Amrit Siddhi Yoga. You can use Amrit Siddhi Yoga 2014 for initiating business and new ventures. Let health, wealth and fortune chase you through the powerful effects of this yoga. For those who are dealing with any issues in their life, Amrit Siddhi Yoga Muhurat 2014 can prove useful to a great extent. You can schedule your activities according to this Yoga, with our above provided chart. Welcome all the good things and expel out all the negative ones, this year. We are sure that luck will favor you in 2014 if you will plan everything according to Amrit Siddhi Yoga 2014.